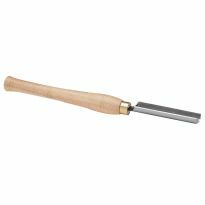 Use on bowls and spindle work to create smooth flowing curves. Quality, HSS blade, sharpened and ready to go. Will last me a lifetime. Awesome product. Handles great and easy to use. This tool works great! 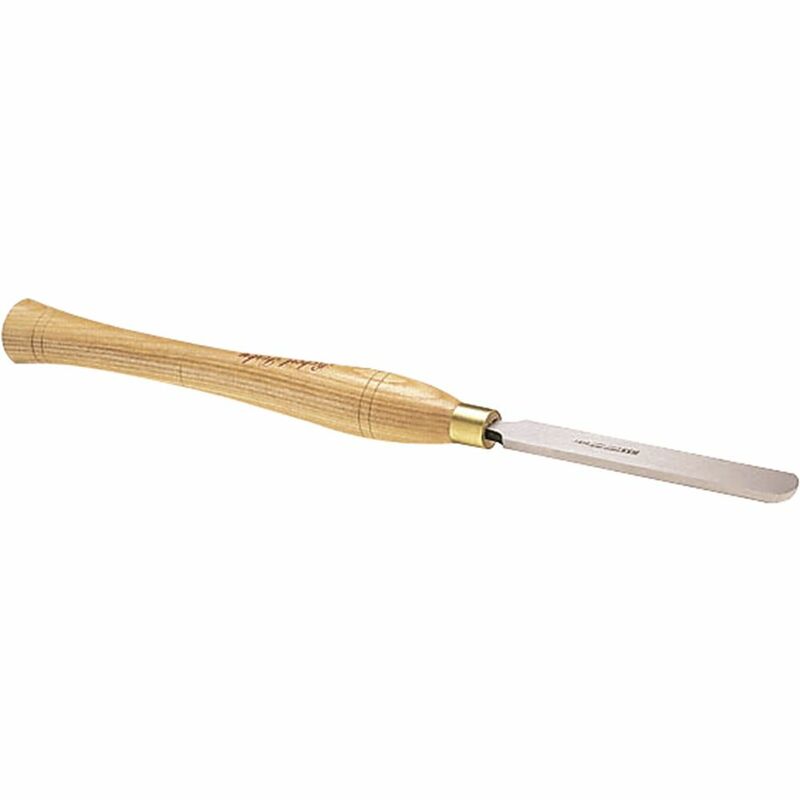 I needed one that was between 3/4" and my 1 1/2" scraper. This fits perfect and does a great job. 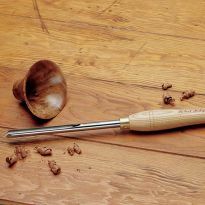 I would recommend this to any wood turner. My wife got this for me last Christmas and I just recently got to using it. After a quick sharpening it work perfect. This is a fine tool. I wish the handle were longer. 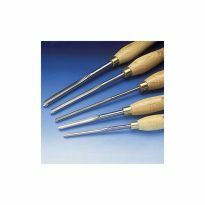 I have Sorby lathe tools; very good quality. Worth the extra money to me. Recommended by one of your Tech Support agents. I needed something not so aggressive when I turn. This tool allows me to remove excess but still be very much in control as to just how much. which edge do you sharpen top or rounded edge? BEST ANSWER: Hey Robert! Always sharpen the rounded edge only. Rikon’s slow speed 8” grinder does a great job sharpening lathe tools. 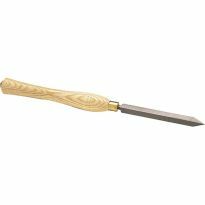 Once you have sharpened the rounded edge, it is a good idea to lightly hone the flat top and bottom tool surfaces with a diamond hone to remove any burrs that could cause a “catch”. The rounded edge. Use a Sharpie to mark the rounded surface and the grind that edge till the Sharpie marks are gone.